Shipping $193.32 Add item to cart for shipping estimate. You can SAVE on shipping by buying multiple items from the same seller. Shipping is charged by each individual seller. Sellers at times may also provide FREE SHIPPING on select items or on entire order if it meets the minimum order value. Please check sellers page for more details. 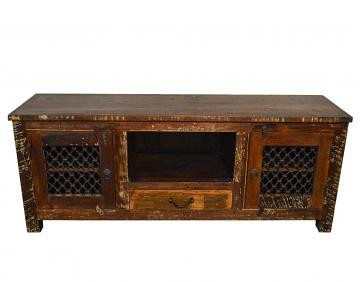 Reclaimed Wood Rustic Entertainment Center Plasma Cabinet with Iron Grill. This Stunning Entertainment Center is Crafted for a modern and industrial themed purpose. 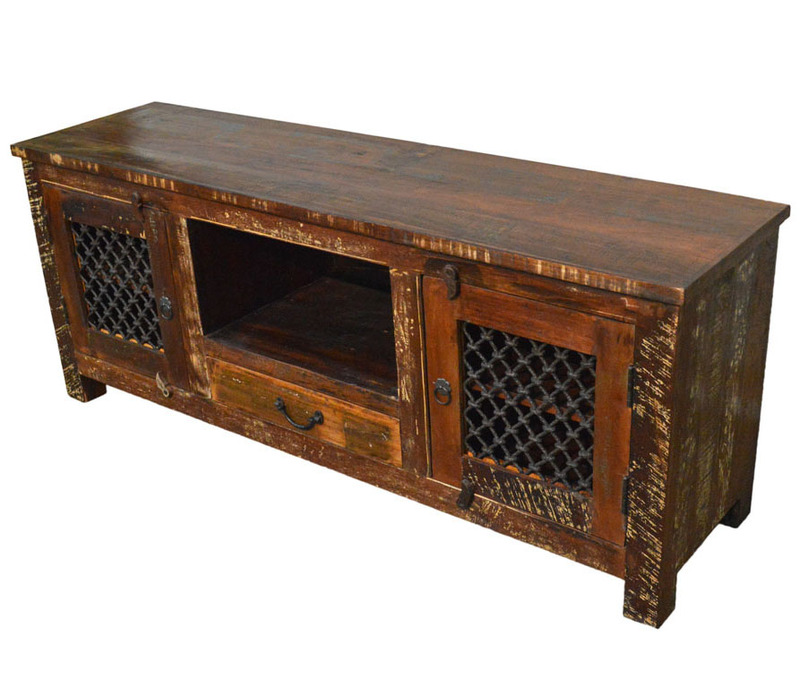 Make your home standout with this reclaimed wood rustic TV Stand. It has a pull-out drawer and 2 Large Cabinets and open shelf space that offers plenty of storage space. This solid wood Entertainment Center is durable and resistant to everyday wear and tear. Shipping Cost $193.32 Buy multiple items online from Favors Handicraft to SAVE on shipping. Buy Rustic Wood Wooden Antique Entertainment Center Cabinet w/ Iron Grill, sold & shipped by Favors Handicraft where you can shop online for Handcrafted Carved Furniture, Home Decor, Statues, Mandir & Gifts.